The Gog Blog Chicago’s No.1 Golf News Source by Rory Spears Editor and Director of Content. Follow Rory on Facebook, Linkedin, and Twitter @GogBlogGuy At the premier of the golf movie The Squeeze. Is it time for you to squeeze out some holiday gift ideas. Well if you are shopping for your favorite golfer or golfers, let me give you some ideas on how to get it done the right way. First off if you like movies, there is a fun movie that you can purchase, and watch it at home. 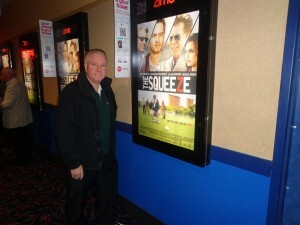 It’s “The Squeeze” and it’s a funny and suspenseful movie based around a golf theme. You like to gamble around the golf course or of the course, you will enjoy this movie that concludes on a golf course in Las Vegas. If your shopping for the golfer, whether it’s today on “Cyber-Monday” or not, you need to do it the right way. First up there are so many ways to shop for a golfer, in fact it’s how you might shop for almost anyone else. Golfers come in all ages, juniors, seniors, teenagers, adults, athletic, not very athletic. Golfers are both men and women, they come in different races, religions, and from many countries. So how do you shop for them ? Well like anyone you would shop for, it’s good if you know a little bit about them, and how serious they are about their game. Do they need lessons, new clubs, could use a refill on golf balls, a new glove or two, are they dying to play that really good course. A local public course, or a top resort course. Maybe it’s a golf course that host’s a PGA Tour event, or a major championship like the U.S. Open. Are they in need of new golf clothes, hats, shoes, socks, slacks, shirts, vest’s, sun glasses, rain wear, umbrella’s, wind jackets, head covers for clubs or golf bags, a metal medallion bag tag with their name on it, books, videos or a travel bag for clubs. Some top courses sell glass wear with logo’s on them from tournaments or famous courses. 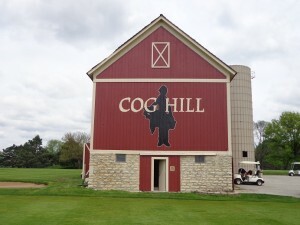 There are tournaments in the Chicago area that your golfer might wish to attend next summer, some events have holiday ticket specials. There are courses that will give you holiday deals. If your golfer is one that wants to play certain course, by them a pass now that might give them five rounds of golf at that course, where if they paid for it next summer, the same amount of money might only pay for three rounds. LESSONS, the golfer needs to be comfortable with a teacher they entrust to give them lessons, so if you buy lessons from a “pro”, make sure it’s a pro they would want to go to, and make sure they don’t have a teacher already. Odds are they won’t switch if you buy them lessons with someone else. CLUBS, don’t guess by just buying any old clubs off the rack at the store. Even if you buy the right brand, it could be the wrong model and anything from the shafts, to the grips, club head size, or weight, lie angle, kick point or other technical specs could be off causing your golfer not to be able to hit those clubs very well. Let them get properly fitted for new clubs before purchase, even if it means ruining the surprise. There are fittings at the area golf domes all winter long by the equipment companies with more of them happening after the PGA Merchandise show in Orlando in late January. At the show, many of the newest products get unveiled, and reps can sell you the latest and hottest gear as soon as the show ends. Even golf balls, make sure you buy the right golf balls before just buying a dozen balls. While men might like or enjoy a new golf hat, or shirt, ladies might enjoy the opportunity to shop for a larger variety of golf apparel, from golf visors all the way down to a new pair of shoes. IF YOUR FAVORITE GOLF PARTNER is your husband, wife, boy friend or girl friend, why not think of a getaway for the two of you at a nice resort. Go enjoy a relaxing few days playing golf, enjoying the spa, or some great food and beverage in scenic locations. It’s always a great idea even if one person doesn’t play golf. IF YOU don’t know exactly what to buy, don’t guess and regret it later. Yes it’s the thought that counts, but save yourself the post holiday problem of having to return all the wrong merchandise that you shopped for online or standing in line. THERE IS plenty to pick from when it comes to shopping for your favorite golfer, just make sure you go about it the right way. Happy Holidays. RS. The Gog Blog Chicago’s #1 Golf News Source by Rory Spears, Editor and Director of Content. Follow Rory on Facebook, Linkedin and Twitter. Ready to hit a Titleist Golf ball down the fairway at Olympia Fields Country Club. Titleist the No.1 ball in golf and maker of the high performance Pro V1 and Pro V1x golf ball, has added a new golf ball to it’s line or products. The new DT TruSoft is designed to give golfers a soft feel on every shot they take, while still delivering the both the quality and performance of a Titleist golf ball. If your a golfer who prefers a soft feel, then the new DT TruSoft at $21.99 per dozen, the top performing ball in it’s class is for you. The ball is made at Titleist Plant 2 in New Bedford, Mass., Dt TruSoft includes a new soft core and cover formulation engineered by Titleist R&D to give an incredibly soft compression feel, with solid distance and playability in the short game. The new DT TruSoft is now available in pro shops and golf retail stores. DT TruSoft Technology and Performance: DT TruSoft is designed with a fast, very low compression core and soft pure ionomer cover- the softest core construction and cover blend that Titleist has ever used. The new core and cover work in conjunction and give the golfer a soft feel on all shots, providing low spin for longer distance and a short game spin for approach shots and around the green. A 376 dimple design allows for consistent ball flight. DT TruSoft comes in White and Optic Yellow with play numbers 1-4. DT TruSoft replaces DT Solo in the Titleist ball family, while continuing the tradition known to golfers as “Red Box” Titliest. The Gog Blog Chicago’s #1 Golf News Source by Rory Spears, Editor and Director of Content. Follow Rory on Facebook, Linkedin and Twitter @GogBlogGuy. 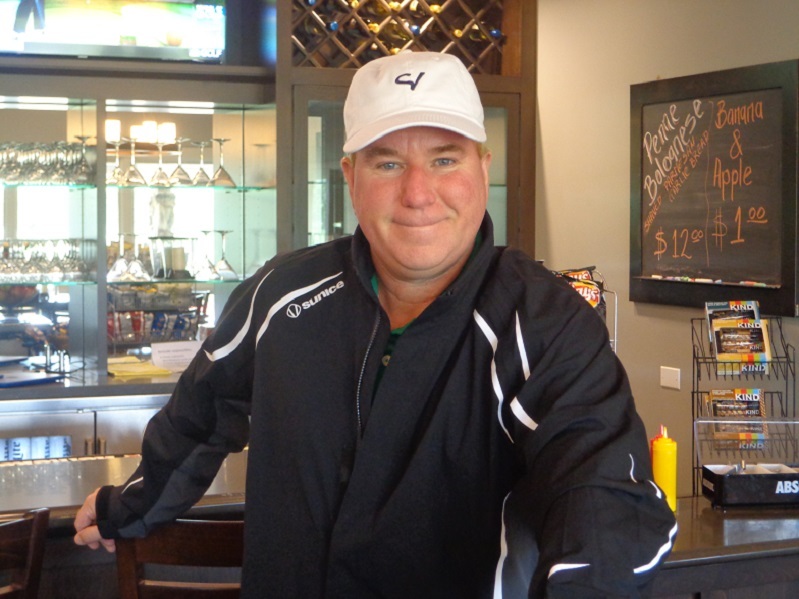 In the Sunice Typhoon Jacket, at the newly renovated Glenview Golf Club. The spring of 2016 golf apparel line for Sunice has been released. For this coming year the line has been divided into five categories, Rain, Wind, Thermal, Layers and Sportswear. The Sunice Rain category is once again available in three different technologies and in three price ranges: GORE-TEX, FlexVent and Zephal. All styles have been updated with new color combinations. The GORETEX is considered the top of line fabric and offers incredible performance in even the toughest conditions. The Wind Collection will still be available in two different technologies. Shield 3L and X20. Shield 3L offers a soft knit on the outside, and a water repellent laminate and mesh finish inside. A new lightweight Wind Collection features the X20 fabric, made from a fine densely woven denier yarn to give optimum wind protection but also breathability. “In the Thermal Collection our Franz Jacket and Ingo vest have been updated and now features 3M Thinsulate. This new synthetic insulation stays warm even when it’s wet so it was an easy decision,” said Anita Sanches, Director of Product Creation. The bestselling Sunice Allendale pullover has four new colors: Scarlet Flame, Toxic, Charcoal and Aquarius. The Allendale Pullover continues to be a top seller because it has a great look and delivers ultimate comfort. The 2016 men’s Sportswear category features styles with Silver X-Static and XT2 technology. New styles of Sportswear include the Eastwood and Wyman polo’s. The Women’s 2016 Spring collection, features the same five categories and their respective technologies. Sunice is a leading designer in outerwear and apparel for golf and snow activities. Sunice is a leading name in the world of professional golfers and skiers. Sunice was selected by the International Team of the 2015 Presidents Cup to be it’s outerwear supplier. Team Captain Nick Price took a team vote to pick the outerwear and Sunice came away the winner. The 2015 Darrell Survey the leading independent arbitrator of equipment and apparel on the PGA Tour, found Sunice to be the leading outerwear brand used by PGA Tour members. 17 year-old Brooke Henderson won the LPGA Cambia Portland Classic this past August wearing Sunice apparel. For more information on Sunice apparel and outerwear, visit Sunice.com. The Gog Blog Chicago’s No.1 Golf News Source by Rory Spears, Editor and Director of Content. Follow Rory on Facebook, Linkedin and Twitter @GogBlogGuy. 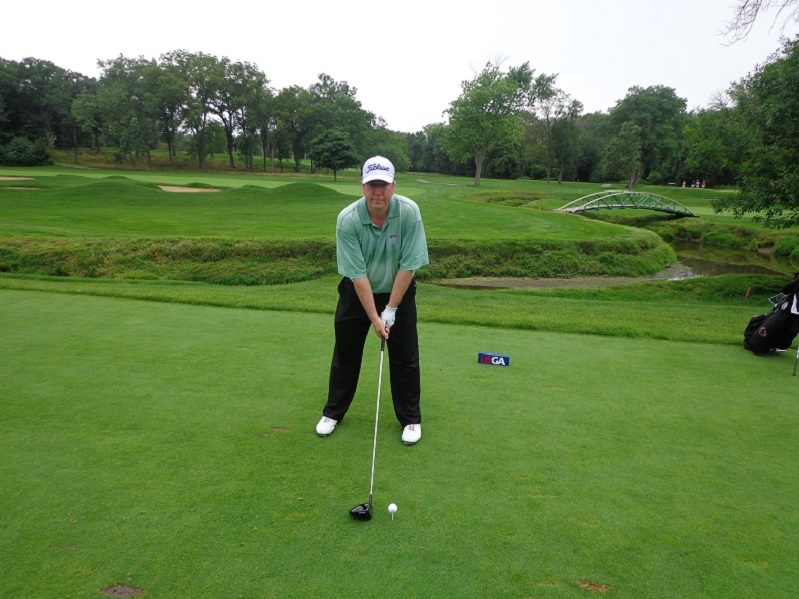 With Imperial Headwear at Olympia Fields Country Club. Imperial Headwear in it’s 100th year of being a leading manufacturer in the headwear and golf headwear has announced a new, low minimum, custom knit called ” Keep Warm Knits” as part of their element fighting WeatherSTRONG Collection. The minimum for this custom knit program is just 24 hats, and one dozen per style/color. Imperial knit headwear stocking caps. This program includes six new cold weather styles with customized club name knit into the design ( up to 16 letters). Each style can be purchased with or without the pom-pom, and there are over 70+ color options to choose from. Coolcore: To fight the heat and stay cool. Sun-Protection: Guards against harmful UV rays. Waterproof: Keeps you dry in wet and rainy weather. Ultimate Stormchasers: Waterproof and wind resistant fleece lined caps to stay warm and dry. Keep Warm Knits: that keep you warm and dry in the winter season. For more information on this program, call (800)-950-1916 or contact your local sales representative. IMPERIAL HEADWEAR ANNOUNCES #1 RANKING through the Association of Golf Merchandisers (AGM) Member Survey (850) at private golf facilities for 2015. IMPERIAL HEADWEAR & SHIP STICKS ENTER PARTNERSHIP. Imperial Headwear and Ship Sticks that offer shipping solutions for traveling golfers, have announced a strategic partnership. This partnership will have a campaign that will feature free Ship Sticks hats made by Imperial now available at Imperialsports.com. Ship Sticks will direct their customers to the website from their website to receive a free hat. For information on Ship Sticks visit shipsticks.com. The Gog Blog Chicago’s #1 Golf News Source by Rory Spears, Editor and Director of Content. Follow Rory on Facebook, Linkedin and Twitter @GogBlogGuy. 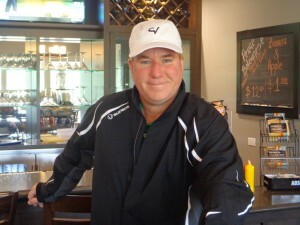 With the Typhoon jacket by Sunice Golf Apparel, see Sunice.com to view the full line. Carnoustie Sportswear has announced it’s Spring of 2016, men’s performance polo’s. Carnoustie has built it’s brand over the last two decades by creating high-end stylish cotton golf apparel. In the last few years, they have started creating in the performance side of golf apparel. As a result, Carnoustie has created apparel that fits for nay occasion. Be it the office, the golf course or social. The styles now include spandex for stretch, and a special finish to ensure moisture wicking, UV protection, odor management and easy care. The new Performance Knits for 2016 have a silk like feel, but are made from a micro polyester. This new product brings forth the comfort and style that golfers have expected and received from the companies cotton garments. The Spring ’16 Performance Polo’s fall into three distinct merchandise groups for 2016, including the Classic, Resort, and Desert Collections, each with it’s own unique feeling. The Classic collection centers on the American colors of red, white and blue evoking a patriotic feel, great for the 4th of July and 2016 both an International Crown and Ryder Cup year. The Resort collection, which includes black, white, yellow and a shade of daiquiri green, is a great way to transition into spring. The colors say that spring is finally upon us. The Desert collection, that includes orchid purple and citrus orange, says that it is time to enjoy a season of sunshine. “Men can wear color,” says Mancillas. ” When it’s done correctly. As a designer I am having fun going retro. It’s inspirational to look at the past and reinvent it for the present, much of the styling we see today is grounded in the look of the 70’s. The same collections listed above are also now available in performance outerwear and in shorts. The Hogan outerwear collection is a blend of polyester and lyrca, in a weight and style for year round wear. They are offered in both a vest and a 1/4 zip model. Both designs have a classic knit detail with tipping at the neck and contrast zipper details distinguish them from the competition and allows these styles to be merchandised with the rest of the collection. Carnoustie’s line of shorts has been expanded for spring of 2016. The solid short introduced this past year was very successful, so for 2016 a printed plaid performance short has been added for each merchandise group. The shorts have an elastic gripper waistband for comfort, and they embody the spirit of the spring season. Carnoustie is carried by some of the nation’s most exclusive golf resorts, private country clubs, and retailers. For product details visit carnoustiesportswear.com. You can follow Carnoustie on Facebook, Twitter and Instagram. Carnoustie Sportswear in it’s 20th year. 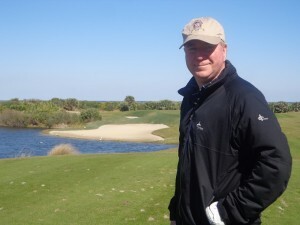 The Gog Blog Chicago’s #1 Golf News Website by Rory Spears, Editor and Director of Content. Follow Rory on Facebook, Linkedin and Twitter @GogBlogGuy. Putting at the newly renovated Glenview Golf Club, in a Sunice Golf Apparel Short Sleeve Jacket. Miura Golf in Himeji Japan, has released it’s new KM 008 putter, that is bringing a next generation of blade putters on the market. In 2014 Miura “retired” one of it’s most popular putters the KM 350 small blade putter. In the last year, master clubmaker Katsuhiro Miura has been designing the newest phase of small blade putters. Like with all of Miura’s products, there is an improvement to the original design or the new product wouldn’t make it to the production stage. The new Miura KM 008 Small Blade Putter. The newest member of Miura’s line of putters is the KM 008. It has a suggested retail price of $450.00. Like it’s predecessor, the KM 008 is forged from a single billet of carbon steel. The Miura forging process creates the industry’s tightest grain structure, with similarly tight manufacturing tolerances. Miura Golf has produced a broad line of irons for all players, including the Tournament Blade and Small Blades (muscleback models), MB001 Blade and Passing Point 9003 and the CB-501 (cavity backs). Forged Wedges include the Wedge Series (in silver nickel chrome and black) and the series 1957 Miura Custom Grind Wedges. There is also three models of putters, and the SIT-460 driver and fairway woods, plus Miura MG Hybrids. With Miura, golfers buy more than clubs. All Miura clubs are custom fitted by authorized Miura dealer/fitters with each individual golfer not only getting properly fitted clubs, but a partner in his or her game. Miura golfers don’t just play Miura clubs, they entrust their games to the clubs, and to the company. It’s an honor and obligation Miura never forgets. For more information on Miura Golf visit MiuraGolf.com, you can follow Miura on Facebook or on Twitter @MiuraGolfInc. The Gog Blog Chicago’s #1 Golf News Source by Rory Spears, Editor and Director of Content. Follow Rory on Facebook, Linkedin and Twitter @GogBlogGuy. With the UL International Crown Trophy. Today the LPGA has announced that the second playing of the International Crown, will be held at the Merit Club in Libertyville. The biennial team match-play event is scheduled for July 19-24 of 2016. The event will open with two days of practice and pro-am’s before heading into the team competition on Thursday the 21st. Merit Club first opened for play in 1992, and was ranked in the top 100 courses at one time by both Golf Digest and Golfweek Magazine’s. Karrie Webb winner of the 2000 U.S Women’s Open at the Merit Club on the putting green at Caves Valley Golf Club, host of the 2014 LPGA International Crown. The Rolex Women’s World Rankings, will determine the eight countries that will play in the 2016 UL International Crown, and those countries will be announced at the conclusion of the 2016 ANA Inspiration in April. At the conclusion of the KPMG Women’s PGA Championship next June, the four highest ranking players from each of the eight countries will make up the teams. The Merit Club played host to the 2000 U.S. Women’s Open, it was won by Karrie Webb of Australia, who played for Team Australia in the 2014 LPGA international Crown at Caves Valley Golf Club outside of Baltimore Maryland. The Gog Blog Chicago’s #1 Golf News Source by Rory Spears, Editor and Director of Content. Follow Rory on Facebook, Linkedin and Twitter @GogBlogGuy. On the Ocean Course at Hammock Beach Resort in Florida. Bette & Court, a premier women’s golf apparel company, has released it’s spring of 2016 women’s apparel collection. Bette & Court is a wholly owned subsidiary of of Sport-Haley Holdings. Bette & Court’s lifestyle brand covers the gap between active and everyday apparel. It’s a new approach to where athleticism meets style or fashion. It’s practical and multisport. This area that is constantly changing, is what drives Bette & Court into new designs, fabric innovations and new cutting edge technology. A new collection of Swing Polo is at the brands core. Bette & Court created the Original Sun Protection shirt with a mesh under sleeve. A lightweight texture and simple mesh underarm, create a UPF 50, while maintaining body temperature. It has two-collar choices and now available in 14 colors. A new Swing Crew long-sleeve crew neck features fashion mesh detailing and thumb holes in the sleeves perfect for connecting with a younger audience. Last season the Swing Skirt was launched, and B & C calls it a great success to date. It will expand with new colors and the signature logo print. Another new skirt for 2016, is the Twist/Twister 14″ pleated skirt with ribbon seaming and mesh under-pleated detailing, offered in solids and prints. The new groups have unique pieces for each color story. White Night, Blue Crush, Red Hot and the Pink Lady. For more information on Bette & Court please see bette-court.com or SportHaley.com. The Gog Blog Chicago’s #1 Golf News Source by Rory Spears, Editor and Director of Content. Follow Rory on Facebook, Linkedin and Twitter @GogBlogGuy. 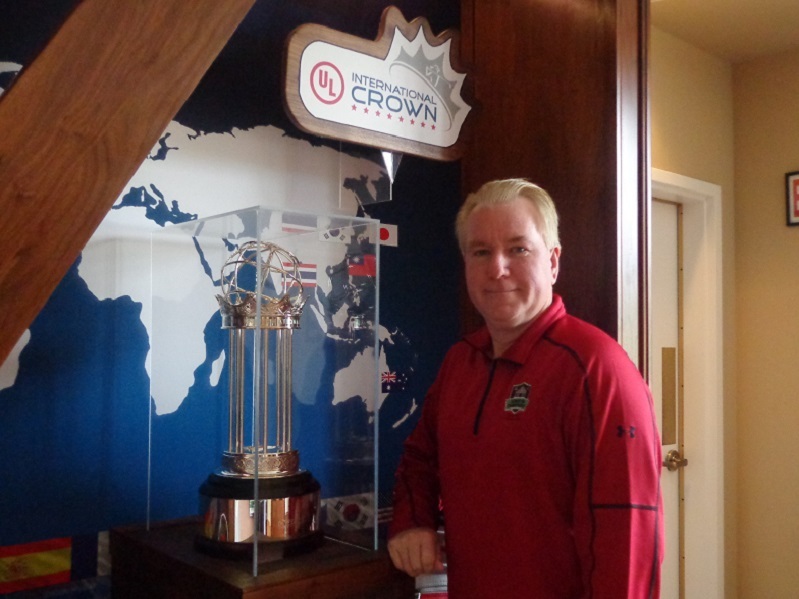 With the LPGA International Crown Trophy. The Merit Club of Libertyville will now host the 2016 LPGA International Crown event, that had been previously scheduled for Rich Harvest Farms in Sugar Grove. Multiple sources have confirmed to Golfers on Golf. Two weeks ago, Rich Harvest Farms Owner Jerry Rich and the LPGA agreed to part company on the hosting of the event next July. As both sides continued to grow in opposite directions on how to present the event next summer. The Merit Club previously hosted the 2000 U.S. Women’s Open that was won by Karrie Webb of Australia. Webb played on Team Australia in 2014 when the International Crown was first held at Caves Valley Country Club outside of Baltimore Maryland. Spain was the winning country in 2014. It’s expected that the LPGA and the Merit Club, will make an announcement on the Crown’s new home in the short future. The Gog Blog Chicago’s #1 Golf News Source by Rory Spears, Editor and Director of Content. Follow Rory on Facebook, Linkedin and Twitter @GogBlogGuy. 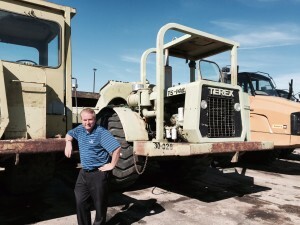 Getting out in front of the project at Oak Meadows. The first part of the Oak Meadows renovation plan is winding down for 2015. This past weekends snow has brought things to a stop for the moment, but if there is a quick melt of the snow, a few more minor things can be done. 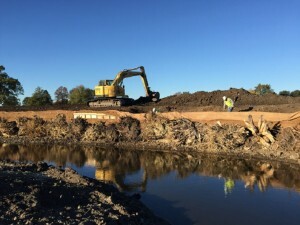 Architect Greg Martin spoke with Golfers on Golf about the first phase of the project, which was primarily work on Salt Creek that has flooded the golf course on many occasions. Martin says that a vast majority of work planned for 2015 was completed. In spring of 2016, Martin and his team will get to work full speed ahead on the golf side of the project. The Oak Meadows Golf Course is scheduled to be completed in fall of 2016, and after the grow in time is complete, the golf course should be ready to open in May of 2017. Oak Meadows that is currently a 27 hole facility will become an 18 course. There is not yet a time-table for a new clubhouse to be built, and a new clubhouse is not expected to be ready by the time the golf course opens. 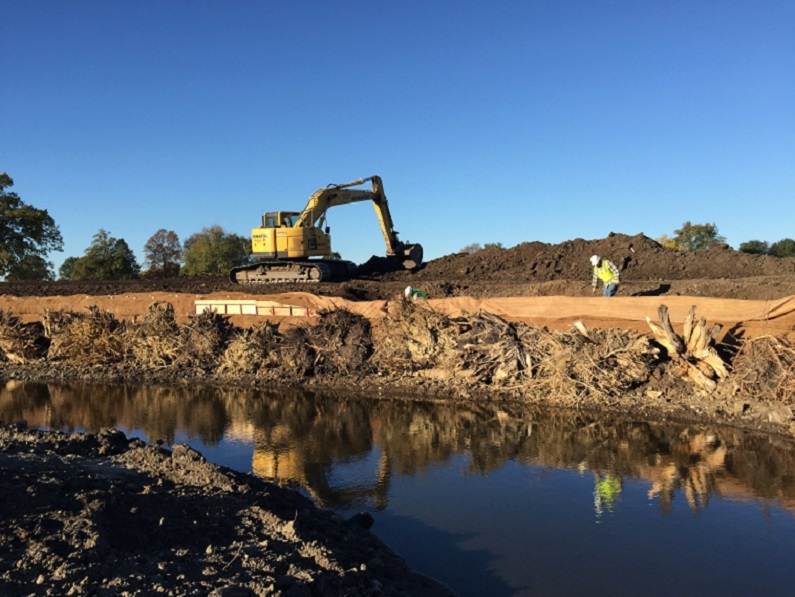 Crews work on rebuilding Salt Creek. Ed Stevenson the Director of Golf Operations fro the DuPage County Forest Preserve District will join us later this week, to speak more on the project. Martin and Stevenson have spent part of the summer researching the history of the golf course, and how to preserve it at Oak Meadows. 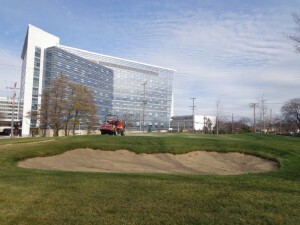 They have spent time looking for ways to make it one of the best public courses in Illinois when it’s done. Click here to to hear the interview with architect Greg Martin on the progress made on the renovation at Oak Meadows Golf Club. A reminder to golfers. In 2016 both Maple Meadows and Green Meadows will be open all season long for golf. The clubhouse at Maple Meadows is now open for your holiday parties. For more information please visit DuPagegolf.com.